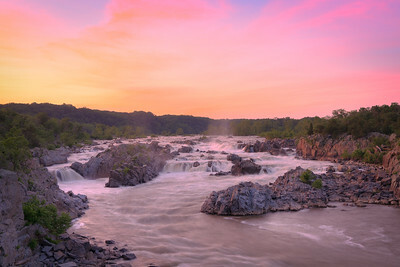 The Potomac River roars through Great Falls Park in Virginia in my first shot with the new Zeiss Batis 18mm f/2.8. Early results are pretty incredible... loving how sharp the edges are. 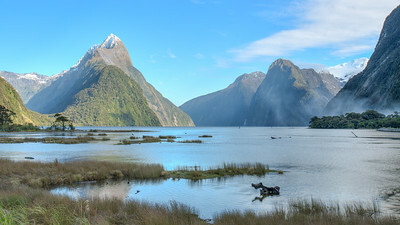 Vignetting was added in post, as the lens itself adds very little. 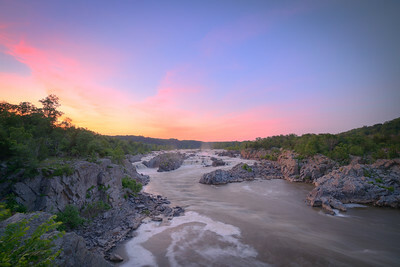 Twenty minutes after sunset at Great Falls Park on the Virginia side of the Potomac River. There were a handful of other photogs out on this evening, but they all left immediately after the sun went down (oops). 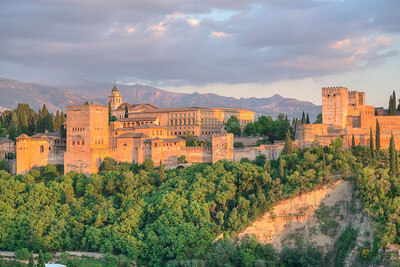 Granada's incredible and sprawling Moorish palace basking in the deep orange rays of sunset. This amazing building dates back to AD 889 and was continuously added to over the years as Granada gradually became the last stronghold of the Moors during the Spanish Reconquista. 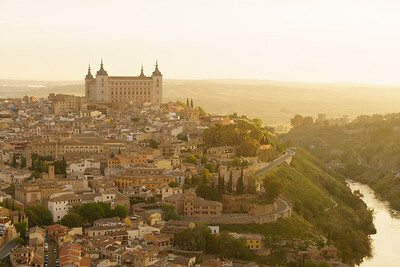 A beautiful golden glow illuminates the Toldeo hillside as the Sun rises over central Spain on a crisp spring morning. 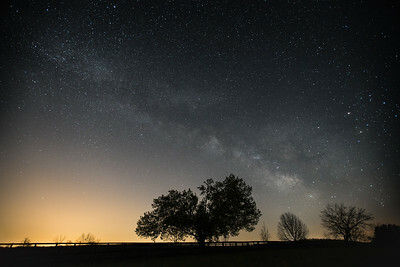 A view of the Milky Way on a crystal clear Saturday morning here in Northern Virginia. An incredibly bright moon slowly gave way to this incredible view of the Galactic core streaking over the countryside in Delaplane this morning around 3:30am. 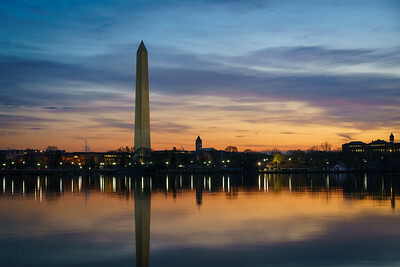 The glow of Washington DC meets the incredible dark skies you can find not that far outside the city. 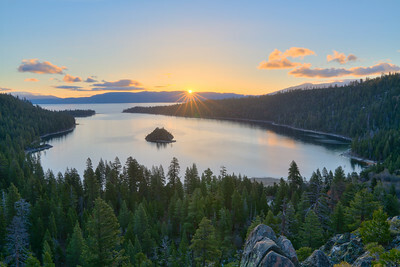 A shot of Sunday's incredible sunrise from the bluffs above Lake Tahoe, CA and stunning Emerald Bay. 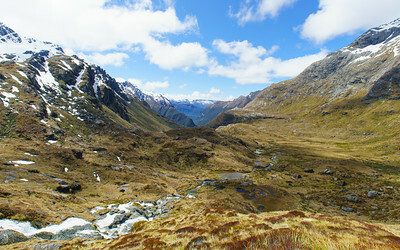 Only 24 hours earlier a spring snowstorm was dusting the area with a beautiful white coat that quickly melted away. 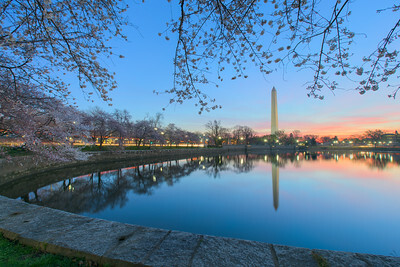 First shot of the morning while getting ready to check out the cherry blossom at the Tidal Basin. Turned out to be one of my favorites. The resolution and color reproduction of the A7RII continue to bloe me away. 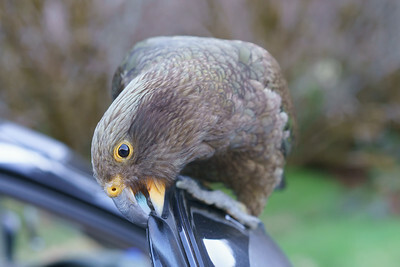 Sweet shot of a Kea bird trying to eat my rental car in New Zealand. The Kea is the only alpine parrot in the world and is one of the most intelligent (and curious) species of birds. 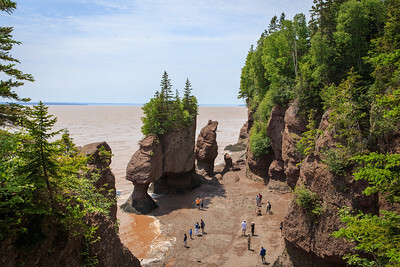 For whatever reason, they're well known for pulling the rubber off of the cars of visiting tourists. This one promptly tried to grab my finger right after I took this shot. This is also a pretty good test shot of the unreal sharpness of the Sony Zeiss 55mm f/1.8 lens on the A7RII. There might not be a better combination of body+lens on the market. 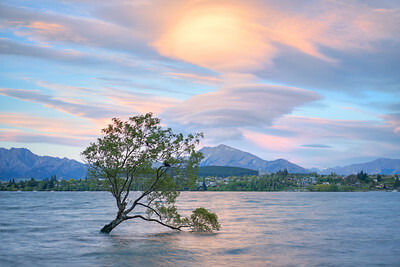 The semi-famous (among photographers and Kiwis) Wanaka Tree with an incredible sunset cloud formation over the mountains across the lake. The experts tell me these are lenticular clouds. 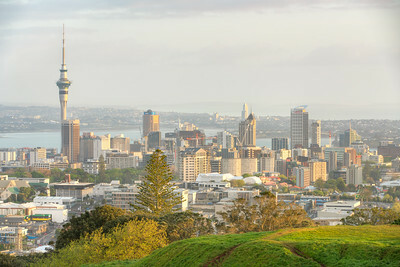 A fantastic golden glow washes over downtown Auckland on a beautiful October morning last month from the top of Mount Eden. 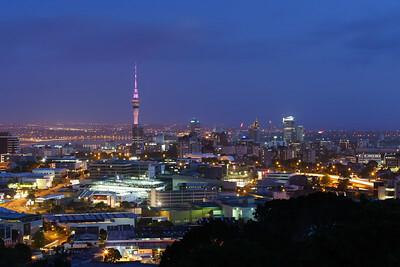 The dormant volcano rises above the city just outside of the downtown business district and offers an incredible 360 degree view of New Zealand's capital city. 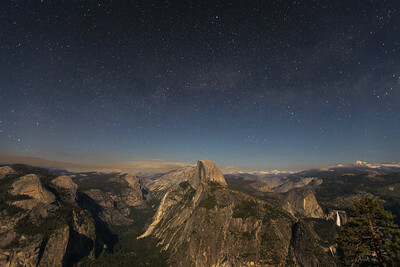 A moonlit view of Half Dome and the Yosemite Valley from Glacier point in Yosemite National Park. Very view places on Earth showcase the raw power of nature that's on display in the enormous glacier-cut valley of granite in Yosemite. The crystal clear and dark skies offer some amazing views not often seen in California. The small dot of light on Half Dome is one of two climbrs camped out on the sheer face of the dome in a portaledge tent this May night. 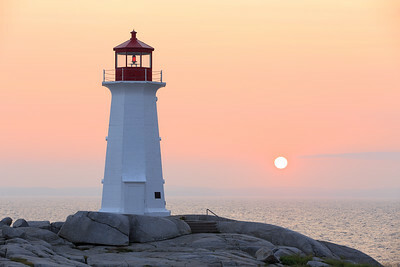 After a fantastic trip to Nova Scotia, I could barely wait to get home and process this beautiful image of sunset at Peggy's Cove, NS. 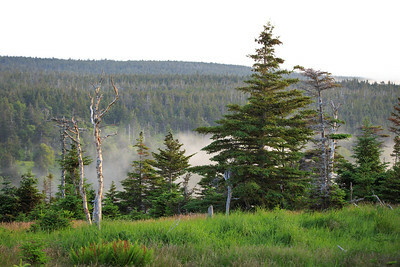 Hardly a cloud was in the sky while the soft hues of sunset painted a textbook gradient from sky to ocean. 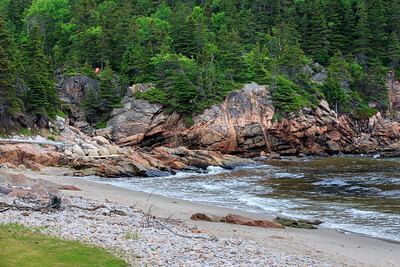 The couple strolled into the shot at the last second and, arm-in-arm, set the perfect feeling for the shot. 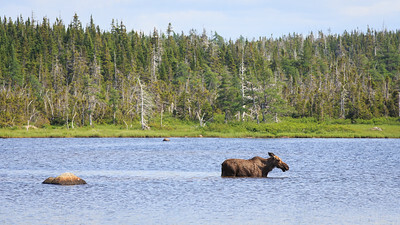 In Nova Scotia, just making it to town does most of the work for you. So many of the tiny fishing villages dotting the Atlantic Coast are picture-perfect postcards just begging for the right light. 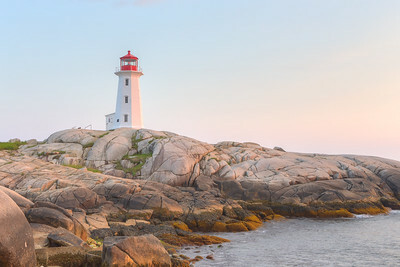 I almost wish this shot of beautiful Peggy's Cove had a more fantastic story. 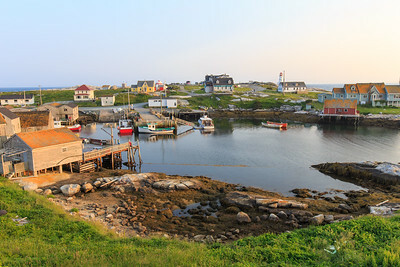 Nope, just the view from the deck off my room at the fantastic Peggy's Cove Bed & Breakfast. 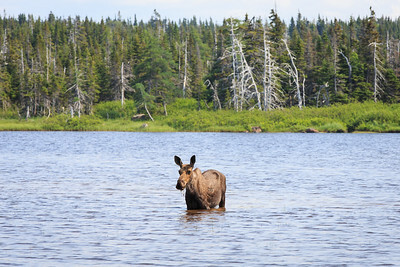 While preparing for the trip to Nova Scotia, I read that while moose sightings are common, seeing a bear is much more rare as they tend to stick to the interior of the forests. 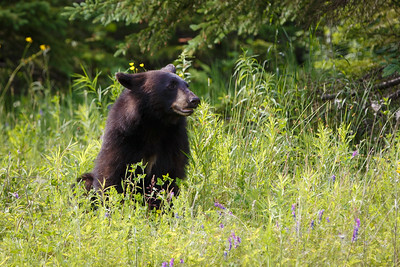 Naturally, a few dozen kilometers into the province, we were greeted by this happy-go-lucky black bear on the side of Hwy 104. We spent an awesome half an hour with her while she dug for food and rolled around in the grass, occasionally glancing up to keep tabs on us. Such an amazing experience.